*There are few setups required to generate the forecasts based on WBS lines created for a particular project. This section details out these setups. 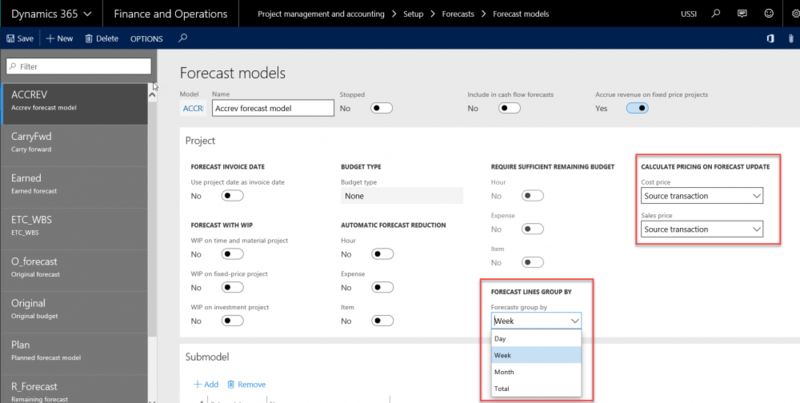 There is a setup on the Projects+ parameters form, which allows users to the select the different forecast models to generate the planned, earned and estimate to complete forecasts. This is drop-down field allowing users to select a value from the forecast models defined on the standard form. Planned Value: The forecast model selected in this field will hold the forecasts line created from the WBS line for planned value into this forecast model. 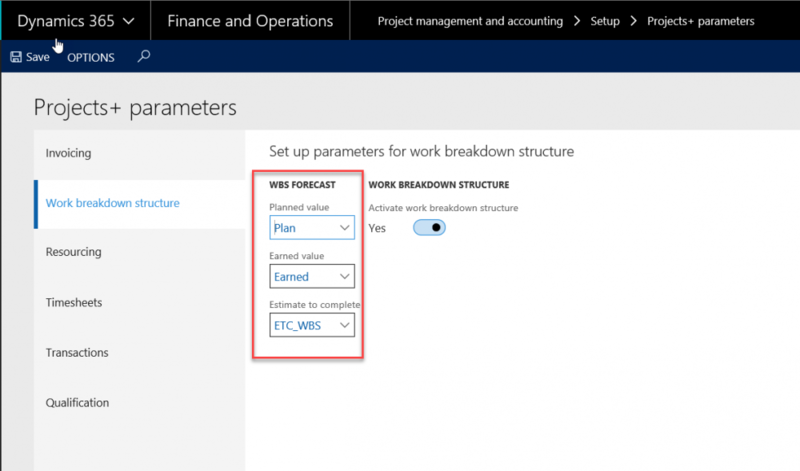 Earned Value: The forecast model selected in this field will hold the forecasts line created from the WBS line for earned value into this forecast model. Estimate to Complete: The forecast model selected in this field will hold the forecasts line created from the WBS line for estimate to complete into this forecast model. There are a couple of parameters available on the standard forecast form, for copying the lines from WBS to the planned values. These parameters also helps in deciding whether the forecasts to be generated in days, weeks, month or total. Pricing: cost price and sales price. Source transaction: This option is for defaulting the price as it is on the WBS form. Price table: The price here defaults from the pricing tables.